Some bleeding or redness in the saliva is normal for 24 hours after the tooth implant. Excessive bleeding (your mouth fills up rapidly with blood) can be controlled by biting on a gauze pad placed directly on the bleeding wound for 30 minutes. If bleeding continues please call for further instructions. Swelling is a normal occurrence after tooth implant surgery. To minimize swelling, apply an ice bag, or a plastic bag, or towel filled with ice on the cheek in the area of surgery. Apply the ice continuously, as much as possible, for the first 36 hours. You should begin taking pain medication as soon as you feel the local anesthetic wearing off. For moderate pain, 1 or 2 Paracetamol may be taken every 3-4 hours. For severe pain, the prescribed medication should be taken as directed. Do not take any of the above medication if you are allergic, or have been instructed by your doctor not to take it. Good oral hygiene is essential to good healing. The night of surgery, use the prescribed mouth Rinse before bed. The day after surgery, the mouth wash should be used twice daily, after breakfast and before bed. Be sure to rinse for at least 30 seconds then spit it out. Warm salt water rinses (teaspoon of salt in a cup of warm water) should be used at least 4-5 times a day, as well, especially after meals. Brushing your teeth and the healing abutments is no problem. Be gentle initially with brushing the surgical areas. 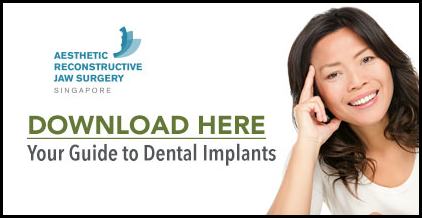 Keep physical activities to a minimum immediately following tooth implant surgery. If you are considering exercise, throbbing or bleeding may occur. If this occurs, you should discontinue exercising. Keep in mind that you are probably not taking normal nourishment. This may weaken you and further limit your ability to exercise.